Losing the ability to use one of your senses at birth enhances your others. It’s an evolutionary adaptation that’s been proven in manystudies -- the areas of a blind person's brain meant to handle sight rewire to help them hear better, for example. But does that theory hold on a temporary basis? Say, if you put on a blindfold and listen to music, are you suddenly able to hear and appreciate every little piece of the whole song a bit more? Pitchblack Playback founder Ben Gomori thinks so -- if not due to an evolutionary adaptation, simply because it helps you disconnect from all the distractions surrounding us in the modern world. The British audiophile -- who rejects that label, unconvincingly -- has been renting out cinemas in London for about two years and playing albums over sound systems that surround blindfolded listeners in sonic bliss. "I really like the experience of going to the cinema and cutting yourself off from the world for a couple hours -- switching off your phone, sharing the experience with people, getting comfy and just cutting yourself off from distractions," Gomori told AOL. "I think there's no reason why we shouldn’t do that with music, as well." 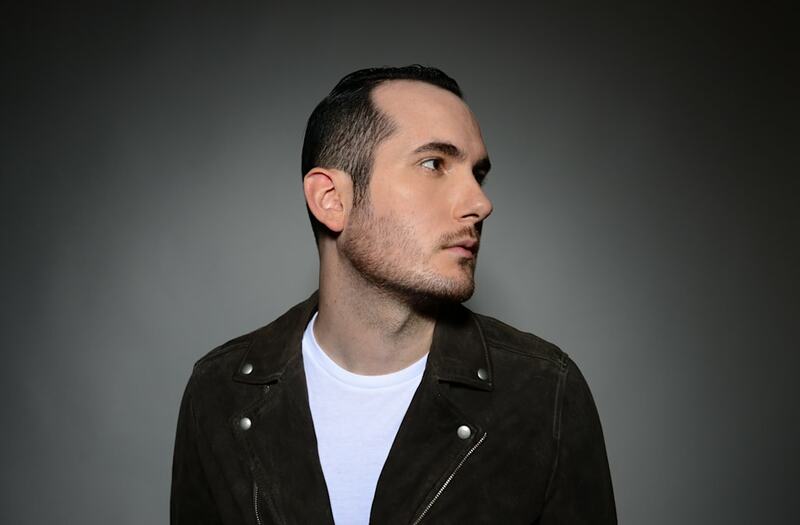 Pitchblack Playback made its international debut in Los Angeles on August 14 for a sneak preview of electronic producer Andrew Bayer's new album, "In My Last Life," out August 24 via Anjunabeats. The LP was a fine choice to bring the concept stateside, led by opening track "Tidal Wave," a track with bass-heavy crescendos to show off the theatre’s capabilities that also maintains a dreamy ambiance to lull listeners into a comfortable state of sensory deprivation. “My album is about love through life and death,” Bayer said in an interview with Above and Beyond’s Tony McGuinness that followed the stream of the album. "It incorporates the humanity and the universally palatable feeling of a love song with a bit of electronic music." Guided by Bayer’s soothing production without any visual stimuli, it was all too easy to fall into a peaceful, half-hypnotized state before too long. I couldn’t be completely sure my mind was all there for the entirety of the show. But upon a re-listen of the album later on, every track at least sounded familiar, as though they’d been carefully tucked into a corner of my unconscious mind. Gomori says that’s not an uncommon takeaway, and he’s even had Pitchblack Playback attendees report having out-of-body experiences. Pitchblack Playback often features classic albums such as British darling Kate Bush’s "Hounds of Love," or Sigur Ros’ breakout avant-rock album "( )." Gomori lists playbacks of Beyonce, Kendrick Lamar and Lana Del Rey as some more modern examples that have resulted in the program’s most memorable events. But more artists such as Bayer are choosing to debut their albums to their most devoted fans via Pitchblack Playback. Most of the spots in the 40-seat theatre streaming "In My Last Life" in Los Angeles were given to Bayer's fans, granting them the opportunity to be some of the first people to hear it in the most immersive setting possible.